I added one Yeelight bulb (YLDP02YL) on my MiHome app, all sounds ok but I don’t see it in the devices list. So I cannot control or use it. Strange point is: in the MiHome app going to the upper left corner in Homemanager it says a total of 11devices while in the bottom right in Profile it says 10devices. I have 10devices and the bulb… so it seems it has been here but not visible. Going to the Yeelight app everything is ok, so it has been added automatically from MiHome. Current firmware is 1.2.4_0016 Yeelight says it is the latest. I use Mainland China on both apps. How to use my bulb in MiHome? Is this firmware really the latest, if not how to upgrade? 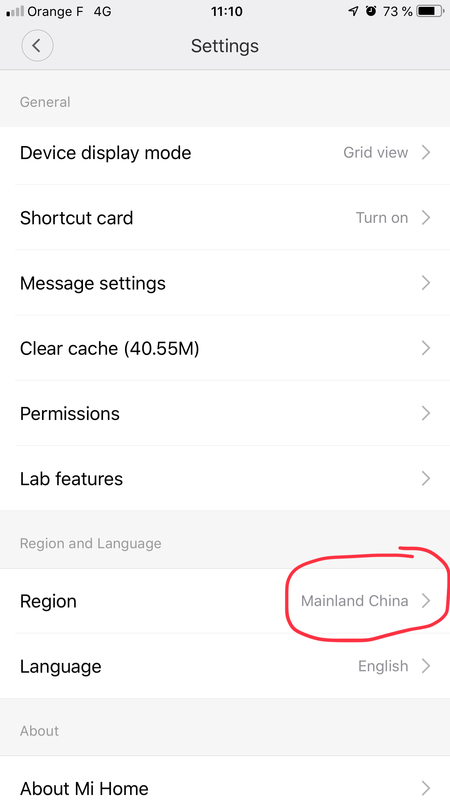 Please make sure you select Mainland China server in both apps, it should be OK.
And please leave your xiaomi account, we will take a look. 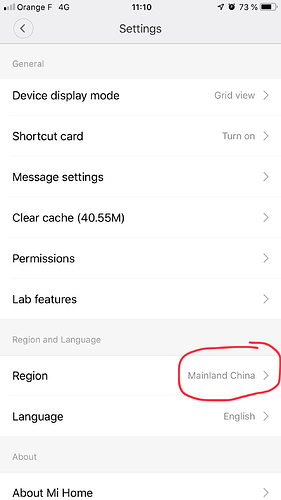 I see there’s one bulb connected to your account in Mainland China server, please select china server in Mihome and you will see the bulb. I did try to change to another server and come back to China = same issue. Sorry, I don’t quite understand. So could you see the bulb in Mihome now? If no, please show me a pic that server you select from mihome. Hi, I just make a confirmation with xiaomi that Mijia LED bulb only sells overseas, it don’t support Mainland China server. If you want to use Mihome, you can use other servers except Mainland china server. And those when sold in Europe (for example) does not work on MiHome with MainLandChina servers. Are those 2 points correct? Hello, just found this thread, im having exactly the same problem with the same bulb, the problem is, i have many devices in Mi Home app that just only works in mainland china, if i change the serve i loose all the other devices … Im disappointed with this as i buy this bulb in Macau, should use same as china … So are you saying that the only way i can use this bulb its with the yeelight app? I can’t use it together with motion sensors etc? It is disappointing and confusing! Most device both from Mi as any spinoff / startup / ecosystem like YeeLight, are purchased by early adopters no matter of geolocation. Not allowing global support (ie. auto fallback to Chinese servers) is breaking user adoption scenarios for most customers worldwide. I ended in same situation. The YeeLight ceiling LED light does not work in Mi Home app in Europe. Actually you even cannot add the lights when on European servers. But trying on Chinese servers this works, but breaks or makes impossible to use other devices. Should be easy to implement full worldwide support via fallback. Of course this is primarily responsibility of Mijia / Mi App. But partners like YeeLight would benefit on a long run.